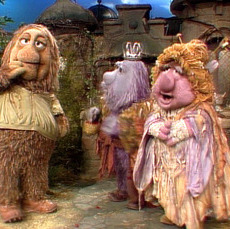 Happy Shorty Awards Day and Night! The day has finally arrived for the Shorty Awards and I will be attending the show tonight. You can watch it live on ShortyAwards.com! But, before you watch the show make sure to listen to me on the Why I Social Podcast with Chris Barrows. I met (via twitter) Chris through my co-hosting appearances on Social Hangout with Eric Mitchell. Yes, I know that may be confusing to some who are not online as much as we are but I promise you that both of these men are putting out excellent and entertaining content not to be missed. I have been a guest on other podcasts but the Why I Social stands out. Chris is personable and flexible (with my crazy travel schedule). So, what makes his show stand out in a sea of content? So, how would you summarize Why I Social? 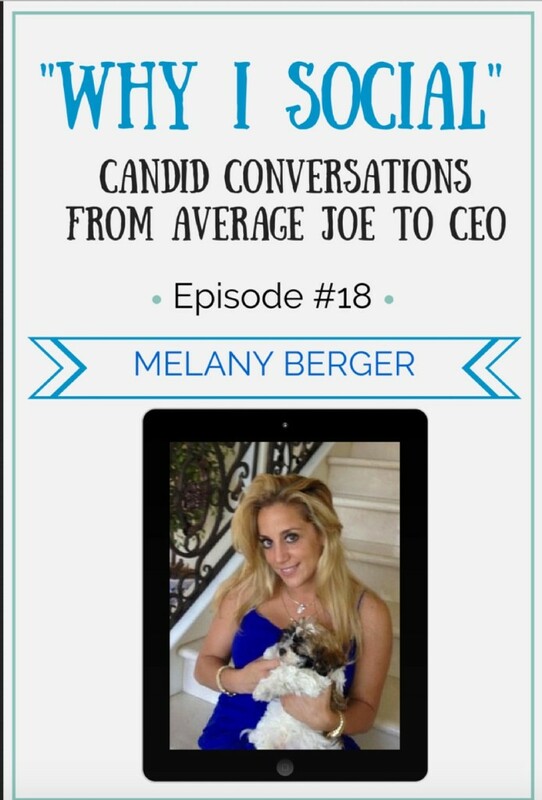 Why I Social brings you candid conversations with folks who truly get social media – from average Joe to CEO. Each podcast invites you to get to know social media professionals beyond their social media handle. Go beyond the handle with Why I Social. Looking forward to meeting Chris in real life tonight at the Shorty Awards. Now, ready to hear what Why I Social is all about? Press play, sit back and relax. Enjoy. And here is the direct link to my snarky, podcast page on Why I Social. 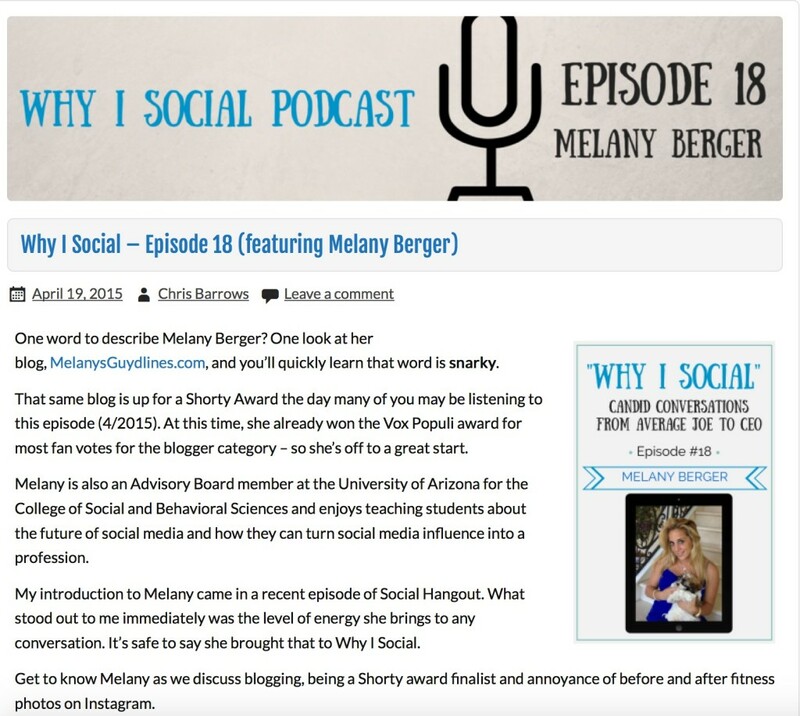 Why I Social Podcast Featuring Melany Berger: Shorty Awards Special! So funny. 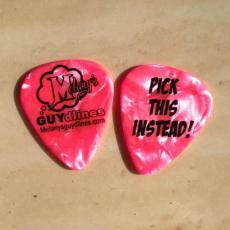 You are a blast to listen to. 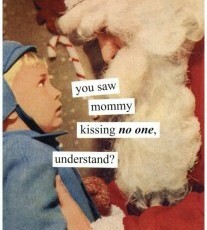 Aww hahahaha! That was fun and thanks for listening! You are very entertaining. Do you have a regular show Melany? You should. I would listen. I can’t believe you are a one woman act. When do you sleep? Thank you so much. Sleep? What is that? HA! Thanks for sharing, Melany. It was fantastic to have you on the show and tell your story. Let’s do it again sometime! YES! It was so much fun! I would love that. See you tonight! !